Manu's interest in survival training began the day she was born in far North Queensland, Australia. Her life growing up on a farm forced many encounters with dangerous wildlife, including several of the world's top ten deadliest snakes, wild dingoes, poisonous spiders, kangaroos, wild boars, and saltwater crocodiles. From an early age, Manu had to adapt and improvise to what the tough environment threw at her. Manu was exposed not only to the dangers of farming activity, but also a climate of extreme heat and humidity. She learned at an early age to use the source of sugar cane and coconut for hydration while playing without access to fresh water. Among many experiences in which the environment taught her to rely upon her instincts are times such as when, at age 9, while attending to the chickens after sunset, she accidentally stepped barefoot on a coral snake. Her immediate instinct indicated that she stepped on the head and so continued to apply pressure until her father could help her. Also, at age 11 while kayaking through the mangroves, a saltwater crocodile barged the kayak, tipping it over and attacked her dog. She credits her quick reflexes and the dog's sacrifice as the reason why she's still alive. At age 17, Manu joined the military and served over 8 years. 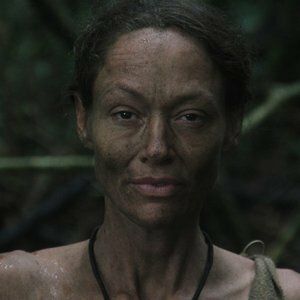 During her last 4 years in the military, she served in Combative Deployment Operations, in which every year they had to do two weeks of wilderness jungle survival and up to 3 months training in the desert. The military helped her adapt her natural instincts into a more educated form of survival, tailored to the specifics of surviving during wartime. Again, her instincts came into play. Military tactics require sleeping on the ground, and one night a snake crawled into her sleeping bag, but instead of panicking she waited until first light to alarm the CO of the situation. After unzipping her sleeping bag, they found a King Brown snake had made its home between her legs! Again, Manu escaped without injury. Manu relocated to Seattle in 1998 for school, but struggled to find housing as well as work beyond washing dishes in various restaurants, which provided a hot meal and a drink at closing. She made enough money to afford a gym membership so that she could have a hot shower and work toward improving her situation. Now living in Los Angeles, she has conquered desert, jungle, and urban environments, using her determination and willingness to improvise in order to survive. Find Manu on Twitter @meshellmanu.